On May 24, 2016, the Regulation of the European Parliament and of the Council on the Protection of Natural Persons with regard to the Processing of Personal Data and on the Free Movement of such data, and repealing Directive 95/46/EC (the General Data Protection Regulation, also referred to as the “GDPR” or as the “Regulation”) entered into force. The Regulation shall be binding in its entirety and directly applicable in all Member States from May 25, 2018. The following is an update of answers to Frequently Asked Questions (FAQs) about how the EU General Data Protection Regulation is expected to apply to biobanks, collections of human samples and associated health data, in the EU. The FAQs do not constitute legal advice and may be subject to change, as a result of further analysis or when provisions of the GDPR are being implemented. In applying the GDPR, overlapping obligations contained in other national and European legislation such as EU Clinical Trial Regulation 536/2014 should also be taken into account. 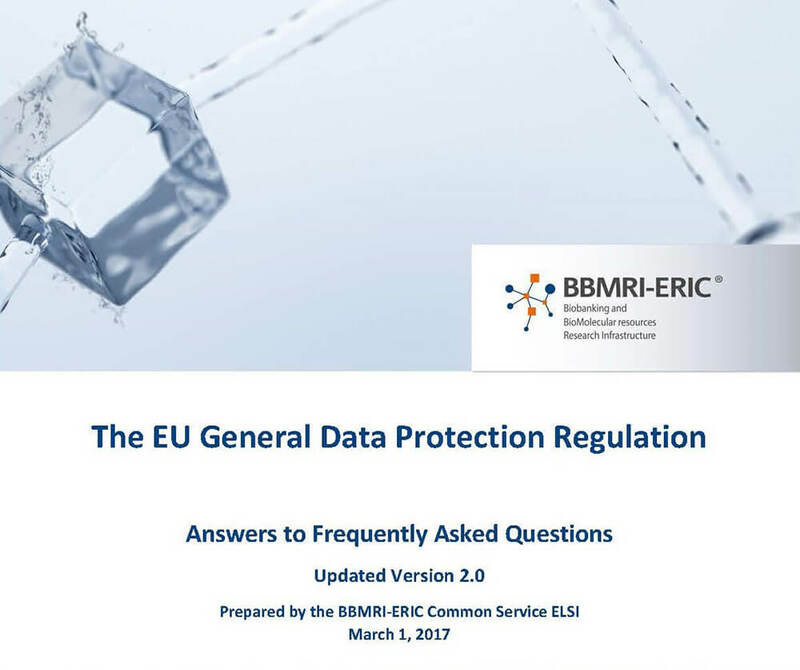 This FAQ expands on the version that was published by the BBMRI-ERIC Common Service ELSI Task Force on the EU General Data Protection Regulation in 2016. The following Task Force members contributed to the FAQ: Jasper Bovenberg, Martin Boeckhout, Gauthier Chassang, Victoria Chico, Michaela Th. Mayrhofer, Irene Schlünder, and Olga Tzortzatou.